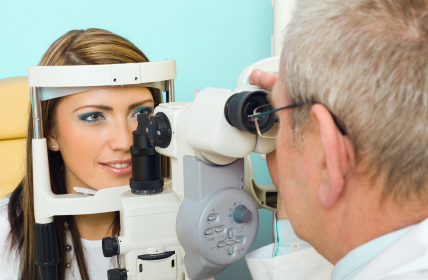 The Newton Group has been proudly serving eye care professionals since 1982. From our beginning in the basement of Dr. Bond’s practice, we quickly grew to become an industry leader in providing services for the independent practitioner community. Today, we are one of the largest purchasing alliances in the country, processing and shipping tens of thousands of frames, lenses, and soft contact lens orders daily for members nationwide. With your interests our priority, we provide a full range of practice management services and tools to help your business thrive. We truly understand the constantly changing needs and new challenges facing our members in this dynamic industry. We are your partner for business success. Take advantage of substantial savings by purchasing from The Newton Group, one of the largest authorized contact lens distributors in the country. We stock hundreds of thousands of lenses from all the major contact lens manufacturers such as Bausch & Lomb, Ciba Vision, Vistakon, Cooper Vision and X-Cel Specialty Contacts. We pride ourselves on great quality service and attention to your account(s) needs. On your behalf, Newton works with over 240 ophthalmic suppliers to give you that competitive edge in the market place. No matter how large or small your practice, we can help you become more profitable by combining your purchasing power with thousands of other practices. Together, we are stronger. Building off of our foundation of purchasing power, distribution and convenient centralized billing, we aim to provide you the tools to not only to compete, but to thrive. Our goal is to assist you in the management of your practice while still allowing you to maintain complete control so you can spend more time in the exam room and be provided the information and tools you need to realize cost savings opportunities, improve service, reach a new technology driven patient base and grow your top line. Originally from Madison, Wisconsin, Dr. Bond is a graduate of the University of Iowa and the Southern California College of Optometry. He and his wife, also an optometrist, pursued private practice careers in Newton, Iowa. During his optometric career, he served on legislative and third party committees with the Iowa Optometric Association, becoming its president in 1993-94. At the American Optometric Association, he served as Director of the Member Services Center, was a member if its’ Long Range Planning Committee and also was the chair of the MERT project, or membership expansion and retention team. He has also held hospital staff privileges at Skiff Medical Center in Newton, Iowa, and both Broadlawn Medical Center and the Veterans Hospitals in Des Moines, Iowa. Within the eye care industry, Dr. Bond has served on the Mid America VSP board, been on numerous industry advisory panels, including Bausch and Lomb and Ciba Vision. Dr. Bond has also been very active as a businessman both within and outside of the eye care industry. He has been involved with the development and ownership of numerous companies, including; Computer Software, Ophthalmic Manufacturing, Cold Storage and Transport, Contact Lens Solutions, Residential Development, Luxury Resort Development and Building Products. Through this unusual mix of involvements, Dr. Bond has a somewhat uncommon and unique perspective that combines both the views of a successful private practice optometrist with those of a successful entrepreneurial businessman. Daughter of Drs. Ruth and Jim Bond, ODs, Randi began working as a Customer Service Representative for The Newton Group in high school before attending the University of Southern California with a BS in Business Administration Marketing, Sales Management. She manages both The Newton Group as well as the Bond family's resort in southwest Missouri called Stonewater Cove (www.stonewatercove.com) from Denver, Colorado. During her free time she enjoys learning about astrology, light-work, spirituality meets science, and spending time in nature/outdoors (driving, walking, ATV'ing, biking, roller-blading, skiing, water skiing, playing catch, and playing tennis). Spending time with family and friends is very important, plus food (cooking and eating:)). Randi is also an avid artist and proud soccer Mom. Tammy started with The Newton Group in 1996 as the membership coordinator. Since that time she has held multiple positions in the billing department, finance department, and computer department. She earned a degree in Information Technology and has further education in Accounting. Currently she is the Co-General Manager as well as the Controller. When not at work she enjoys spending time with her husband and family. Tammy and her husband both enjoy photography and geocaching. They have been able to combine the hobbies by traveling extensively across the U.S. in pursuit of the "find" along with taking landscape and wildlife photos. Five weeks in Alaska was her most memorable trip. Tammy also enjoys spending nights in her observatory viewing and taking photos of the night sky. John started with the Newton Group in 2012 as Customer Service Manager. Since that time he has held positions in the computer department and in human resources. Currently he is the Co-General Manager and Human Resources Director. Outside of work John has a couple of hobbies. One is long distance running. His favorite runs are the Des Moines marathon and the iconic Dam to Dam, all of which he has run several years in a row. In addition to running, John also enjoys building computers and keeping up on current computer and programming issues. Brent was born in Newton, IA - raised in and graduation from MHS in Marshalltown, IA. An Army Veteran, Brent was positioned as a Radio Teletype Operator in an Armor Brigade of the 3rd Infantry Division; Germany & 24th Infantry Division Artillery, Georgie. He studied Computer Science at Marshalltown Community College following. Brent started at The Newton Group, Inc. in October 1990 and is head of the IT department. Teresa has been building relationships with The Newton Group members for close to twenty years now. Four of those years working as an Administrative Assistant in the Sales and Marketing division, assisting in the development of special promotions and programs. For the past sixteen years, she has been a conscientious member of our Billing team, delivering timely and accurate monthly statements. Teresa also works to coordinate and welcome new customers, as well as bringing aboard new suppliers to our Buying Group. In addition to her contributions to The Newton Group, Teresa has been active in community organizations, and enjoys camping and kayaking with her husband and famijly. She also has a love of crafting, especially with her grandchildren. Kathie came to The Newton Group in 2017 with a background in retail management and accounting. She worked in the Distribution department for about a month before moving into the accounting department where she is currently working with the company. Kathie grew up in both Marshalltown, IA and the Burlington, IA areas. She moved back to the Marshalltown area for work back in 2002 and then returned to college earning a four year degree in accounting. Kathie is married with no children and enjoys gardening, bicycling, running, and especially quilting. She also enjoys math, science, and reading "how to" books and learning new skills; as well as reading Christian based novels and mysteries. Kathie has six siblings of which she is the middle child; three older brothers, two younger brothers, and one younger sister. Jace has been with The Newton Group for over a full year. He likes spending time outdoors riding motorcycles, hunting, fishing, and going to races. Cindy is happy to say she has been working at The Newton Group since April 2017. In her spare time, Cindy enjoys riding motorcycles with her husband, Tim. She enjoys spending time with family and doing volunteer work for our Veterans. Terri has worked at The Newton Group since 1999. She started working in the Distribution area of the company, and a few years after moved to the Customer Service department. She enjoys talking to many different offices that Newton works with and getting to know the office staff. Outside of work, she has two kids that keep her very busy with all of their sports (Soccer Mom) and extra curricular activities in the community. Terri enjoys shopping, hanging out with family and friends, being outdoors, reading, and going to any kind of sporting events. Kyra started at The Newton Group in 2016. She is currently one of Newton's customer service representatives. Kyra has a busy schedule outside of work with her 5 month old baby girl. She enjoys spending time with her fiance, two dogs (a black lab and golden retriever), and especially watching her daughter learn and grow. Kyra also enjoys going for walks and all outdoor activities. Sharon works in the Customer Service department and has been employed by The Newton Group since 1995. She is married to a wonderful man, and they have 5 children, 14 grandchildren, and 1 great-grandchild on the way. Sharon's hobbies and things she likes to do include going to auctions, garage sales, and picking out old furniture to refinish. Her husband and her have also been remodeling their daughter's lower level of her house as of late. Brenda has been with The Newton Group since 1990. She started in the distribution department and moved to customer service; now splitting her time within the two departments. Outside of work she loves to spend time with her family, including 2 daughters, 2 dogs, and 1 cat. Brenda has lived in Newton her whole life and enjoys getting a massage, going to movies and shopping with friends, and watching the Chicago Cubs and Chicago Bears on TV with her husband during her free time. Signing up to become a member of The Newton Group is fast and easy. For more information please email information@newtonpro.com or call 1-800-232-5729.